We guarantee the most thorough cleaning ever or it's FREE! The healthiest way to care for your living environment and preserve your carpet investment. Unprotected carpets can stain permanently, wear out faster and soil quickly. We clean all kinds of Upholstery including Synthetic Fibers, Throw Pillows, Love Seats, Couches, Small Chairs, Recliners, Dining Chairs, and Mattress Cleaning. Please call for exact pricing. 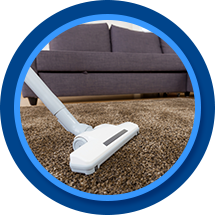 We are a carpet and upholstery cleaning business located in Casper, Wyoming. Our carpet and upholstery cleaners use a powerful truck-mounted, steam cleaning system that is recommended by most carpet manufacturers to prevent voiding your warranty. In addition to carpet and upholstery cleaning we are also proficient at water restoration. We are locally owned and have faithfully served Casper and surrounding areas for over 30 years. We are committed to providing 100% satisfaction for all our customers. We are small enough that the owner is on most jobs to ensure the very best cleaning, but large enough to schedule your appointment at your convenience with the best equipment available. We are Casper’s Top Rated Local® Professional Carpet Cleaner, and we are looking forward to working with you.